Any activities such as assignments or quizzes with due dates will automatically appear in it. 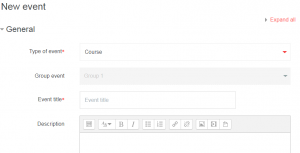 Staff can manually add entries to a course for viewing by all students or subsets of them. Individual staff and students can add their own private entries. Site admin staff can add entries at a global level for viewing by all Moodle users. 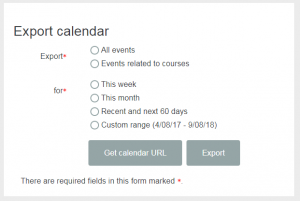 Import and export of Moodle calendar entries is also possible. If the block is not already visible, Turn editing on and scroll to Add block at the bottom of the left column. 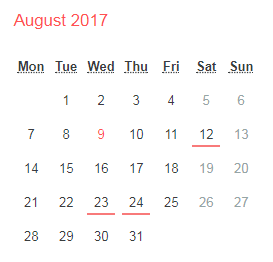 Select the Calendar or Upcoming events block. The new block will appear near the bottom left above Add block column. To move it to a different position, follow the advice in Add Blocks. 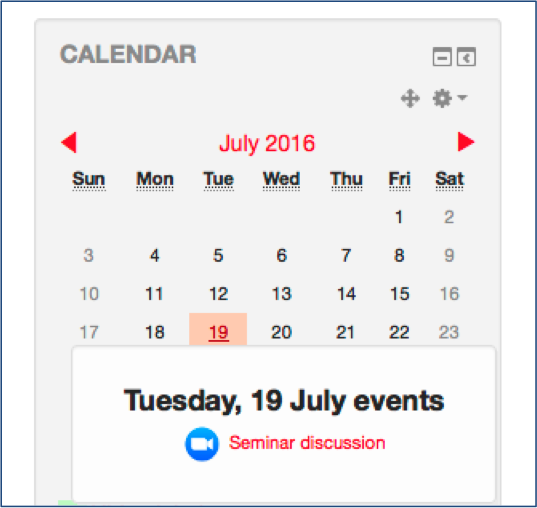 Any dates associated with existing activities will be highlighted – hover over the date to see details e.g. a Zoom meeting in the example below. To see a detailed view, click the month title. N.B. 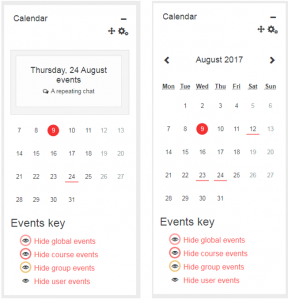 Only staff with editing access can add a Calendar or Upcoming events block to a course but anyone can add the block to their Dashboard using Customise this page. Scroll to the relevant month and click New event. 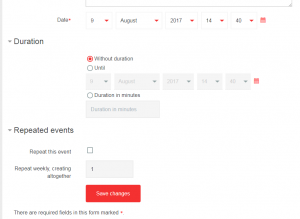 Select the type of event (course, group, user), provide an Event title and add a description if required. Scroll down and add the Date and time. Use Duration and Repeated events if relevant. Save changes. 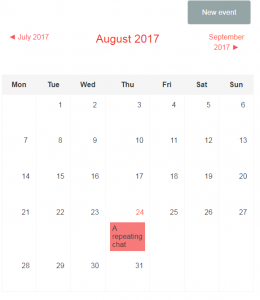 The event will appear as below – in detailed form and with a highlighted date in the month view calendar. Each type of event has its own colour code. 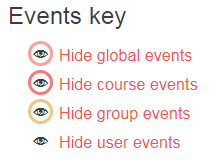 Use the links in EVENTS KEY if you wish to hide any of them from your personal version of the calendar. Scroll down to Export Calendar. Choose the entries you want to export and click Export. You will then be prompted to download an ical (.ics) file which can be imported into most calendars. N.B. if you have any problems with this format, you can use Get calendar URL to obtain a URL that you can copy/paste. Use Manage subscriptions (below Export Calendar). 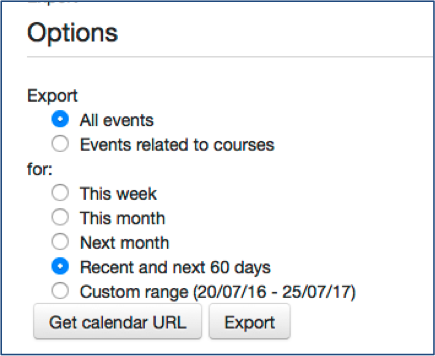 See Calendar import on Moodle Docs.